Our relationship with cats began as early as 9,500 years ago in the eastern Mediterranean island of Cyprus1. Cats were likely tempted to hunt in humans villages due to the concentrations of small mammals in ancient grains storages1. Since then, cats have evolved tolerance of humans, leading to the familiar furry pets we know and love today. However, unlike dogs, cats have not lost their keen instincts to hunt for prey regardless of human feeding (Figure 1). The potential impacts cats can have on wildlife largely depends on the numbers of cats in a region, the amount of time they are able to roam a neighborhood and the type of food provided by their owners2. One study showed that cats can capture from 2-5 animals a week3. Most of the prey they capture are small mammals, but they can also hunt birds, reptiles, and amphibians3. This information comes from a study that was only conducted over 10 days, meaning that we still have more to learn about the potential impact cats can have. To learn more about the impact of cat predation, a recent study surveyed Polish farmlands over between 2003-20052. Researchers in Poland visited 326 farmlands to document what cats eat over one year. They went door to door and asked farm owners how many cats they had, what the cats are (commercial cat food, human food), and which animals the cats brought to their homes, if any. They also counted how many animals cats ate by examining animal remains in cat feces and stomachs (obtained from cats accidentally run over and legally hunted). The researchers found that half of the farms did not have cats, in most cases farms had one cat, and in 30 cases farms had anywhere from 3 to 6 cats. They found that yearly, each cat brings on average 16 small mammals and 3 birds to the home. In addition, each cat eats on average 200 small mammals and 46 birds in a year (Figure 2). Estimation over all cats, show that cats are killing millions of vertebrates annually. 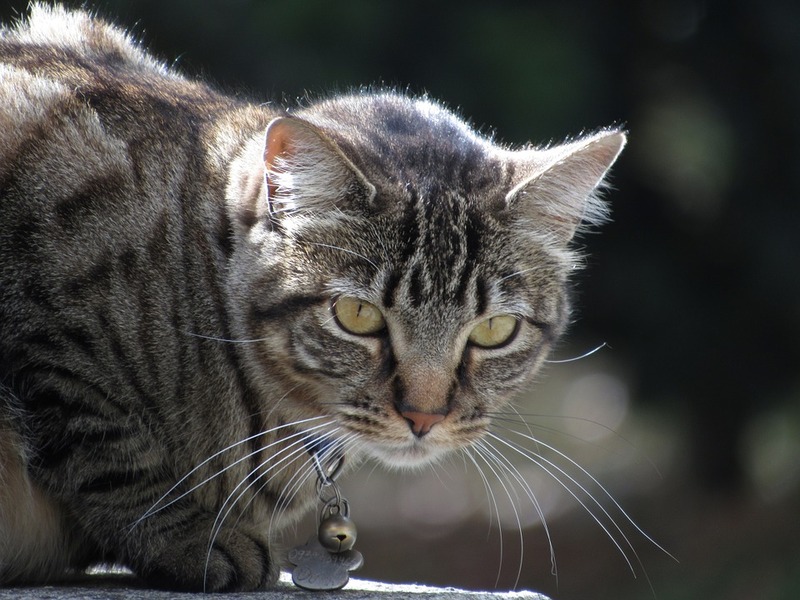 Because of their hunting instincts, cats can greatly impact the wildlife in the neighborhoods they roam. If you are a cat owner take heed and make sure that your pet remains home and that the animals in your neighborhood remain safe from these ancient predators. Hu, Y. et al. Earliest evidence for commensal processes of cat domestication. Proc. Natl. Acad. Sci. 111, 116–120 (2014). Loyd, K. A. T., Hernandez, S. M., Carroll, J. P., Abernathy, K. J. & Marshall, G. J. Quantifying free-roaming domestic cat predation using animal-borne video cameras. Biol. Conserv. 160, 183–189 (2013).